No upcoming calls at this time. Seventy years after CDC was founded to fight mosquitoes that carried malaria, CDC found itself entrenched in combat with another mosquito-borne illness, Zika virus. CDC activated its Emergency Operations Center to fight Zika on January 22, 2016, after a widespread Zika outbreak in the Americas was linked to a large increase in the number of babies born with microcephaly. As the emergency response approaches one year, CDC’s Morbidity and Mortality Weekly Report highlights 10 critical contributions towards the fight against Zika virus this year. On December 14, 2016, CDC issued guidance related to Zika for people living in or traveling to Brownsville, Cameron County, TX and has designated Brownsville as a Zika cautionary area (yellow area).. On November 28, the Texas Department of State Health Services reported the state’s first case of local mosquito-borne Zika virus infection in Brownsville. Additional cases of mosquito-borne Zika have been identified in the area, suggesting that there is a risk of continued spread of Zika virus in Brownsville. On December 9, 2016, CDC removed the red area designation for the remaining 1.5-square-mile area of South Miami Beach after three mosquito incubation periods (45 days) passed without any new locally transmitted cases of Zika. Guidance for yellow areas now applies to the South Miami Beach area and all of Miami-Dade County. 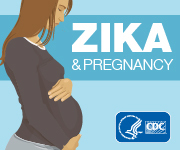 FDA is alerting physicians who care for pregnant women meeting CDC Zika virus clinical criteria and/or CDC Zika virus epidemiologic criteria that the U.S. commercial testing facility, Laboratory Corporation of America (LabCorp), has reported some false positive results from the ZIKV Detect test. CDC announced it is awarding nearly $184 million in funding to states, territories, local jurisdictions, and universities to support efforts to protect Americans from Zika virus infection and associated adverse health outcomes, including microcephaly and other serious birth defects. These awards are part of the $350 million in funding provided to CDC under the Zika Response and Preparedness Appropriations Act of 2016.